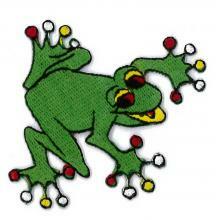 is a worldwide embroidered patch and metal badge manufacturer nearly 3 decades. Our excellent work and service have been matching our customers’ needs since1987. Our business reputation is consolidated by the experienced & skillful personals and professional process solutions with updated machines and facilities. Furthermore, by the demand of more new products lately, we’ve developed more new items here for your choice, such like sublimation patch, woven emblem & multi-fabric patch, etc. It’s the way to enhance our production lines and service to feed back your support and keep you competitive. We will always be your good helping hand to your marketing in both major products of embroidered patch and metal badge and even other items in this new catalogue. Just take this opportunity to know us more. ​Copyright © Aponik Cresting Corp. All Rights Reserved.